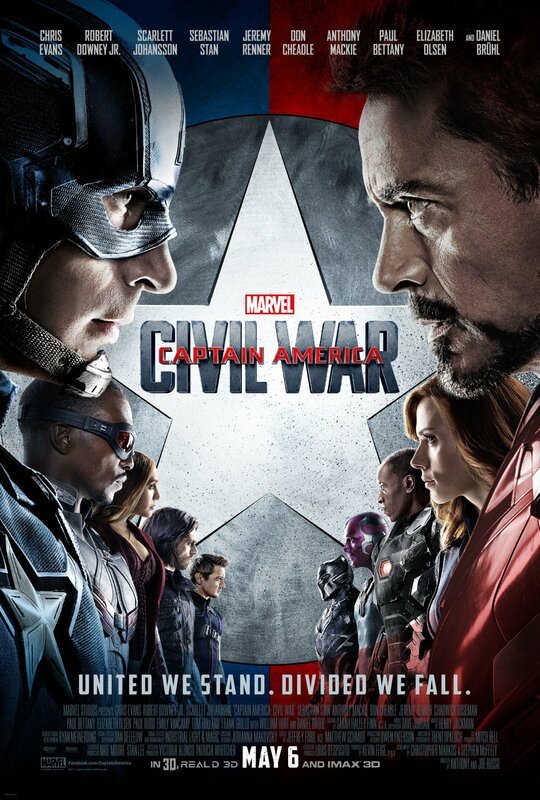 It’s Avenger vs. Avenger in Captain America: Civil War when Steve Rogers aka Captain America (Chris Evans) and Tony Stark aka Iron Man (Robert Downey Jr.) disagree with legal measures that various governments around the world want to place on the Avengers because they fear how dangerous a team of superhumans can be. Loosely based on the Mark Millar comic series of the same name we have two established fan favourite characters on separate sides of an issue that has solid arguments to support both. Several of the characters in the film are conflicted over what side to be on and as a viewer I definitely was as well. I’m more of a Captain America fan than I am an Iron Man fan so I was all set to side with him before seeing this film and call it a day but through their many discussions where they aired their views on the issue I found myself thinking “that’s a good point”. In the end I’m really not sure what side I’m on as neither of them are “wrong” as such. It’s a dangerous story to tell when both characters have such a huge following because if handled improperly then there’s a risk of alienating half of the audience. Thankfully this isn’t the case here as both characters come out of this with their reputations intact. The script takes full advantage of the complex relationships that have been building since the first time that the Avengers assembled. Yes it’s a conflict and yes they come to blows over it but neither character is seen to go too far or act in ways that goes against their established traits. It’s handled with a lot of care and subtlety which makes the whole thing work despite the huge risk that it would fall apart and anger half of the fanbase. The question of why this film had Captain America in front of it because it seems like an Avengers story. All of the marketing would have you believe that it’s an Avengers film and it definitely is but that’s not all it is. There are two stories going on here. One of them is where the Avengers fit in with society as a whole and what measures should be taken to control them. The other is Captain America defying the law to protect his friend. Both stories are really strong and compliment each other nicely as Cap’s personal mission to protect Bucky Barnes aka The Winter Soldier (Sebastian Stan) ties into the idea of legislating superhumans. Neither story suffers as a result because the emotional core of each of them remains intact. Cap and Bucky’s friendship is shown to be the motivating factor for Cap’s protection of him and this overlaps with his conflict with Iron Man who wants the Winter Soldier brought to justice. It’s a very simple way to frame the complex issues at work and makes it very easy to invest in what is going on. There’s no need to get into the detail of the complex political issues as the film isn’t really about that. It’s about Cap and Iron Man disagreeing while Cap tries to protect his friend. It is further complicated by the fact that protecting Bucky is part of his conflict with Iron Man and that gives us our grounded emotional stakes that help carry the story. Despite the complexities in the conflict the film never feels like it goes to a place that is too dark. There is plenty of humour to diffuse the tense situations that includes some really humourous banter between Sam Wilson (Anthony Mackie) and Bucky Barnes. Fears of having too many characters in this film can be put to rest as the large cast comes and goes when needed. They never stay longer than they have to and any character development that they have exists alongside the larger issues. That isn’t to say that they are thinly written because that’s pretty far from the truth but everyone has their place and nothing ever feels forced. Usually I would comment on the acting relative to the characters being played but everyone has seen at least one Avengers movie at this point haven’t they? We all know the drill when it comes to these actors playing these characters. They all know their roles well and do a great job. Chris Evans and Robert Downey Jr. take their characters in directions that we haven’t seen them go before and bounce off each other wonderfully. Their rivalry is mature and complicated which ties into how they develop as characters. Tony Stark in particular is tested on a deeply emotional level that will likely change him forever as he finds out that life isn’t quite as simple as he would like it to be. As expected Robert Downey Jr. is able to convey this with ease. More recently introduced characters like Wanda Maximoff aka Scarlet Witch (Elizabeth Olsen) and The Vision (Paul Bettany) are given more of a chance to show what they can do that takes them in a pretty interesting direction. They don’t have an awful lot of growth but there’s definitely room for more and it feels almost like a tease for what we are yet to see. Sebastian Stan’s Bucky Barnes has only been seen in Captain America: The Winter Soldier before this point but this film fleshes him out a lot more. He’s tortured and sympathetic while always feeling like the ticking time bomb that could explode at any moment. Many of the characters are wary of him and he doesn’t quite trust himself. His friendship with Cap comes into play at several key points and Sebastian Stan shows plenty of range when handling material with more levity. The rest of the established characters such as James Rhodes aka War Machine (Don Cheadle), Natasha Romanoff aka Black Widow (Scarlett Johansson), Clint Barton aka Hawkeye (Jeremy Renner), Anthony Mackie’s Sam Wilson aka Falcon and Paul Rudd’s Scott Lang aka Ant-Man conduct themselves well within the context of the story. It’s pretty much what we expect from them as they have delivered strong performances as these characters before. 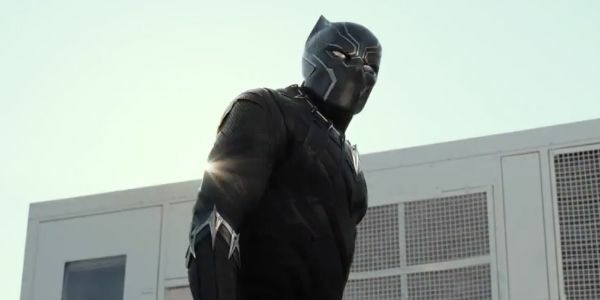 There are some new characters as well such as T’Challa aka the Black Panther (Chadwick Boseman). His presence here is more of a tease for his upcoming solo film but he really makes an impression that makes me really want to see more of him. Boseman performs the character as being regal but with a dangerous edge that makes him interesting and unpredictable throughout. His role in the story constantly changes and seeing him in action will definitely be a crowd pleaser. Now onto the really big deal at least as far as I’m concerned. This film introduces the Marvel Cinematic Universe version of none other than Peter Parker aka the Amazing Spider-Man (Tom Holland) and he is great. His Peter Parker leaps off the page -of the Ultimate comics but still- and his Spider-Man is resourceful as well as being hilarious. I’m a huge Spider-Man fan and I am not ashamed to admit I had a big dumb grin on my face every second he was on screen. I know he has just been introduced and his solo movie will be written and directed by different people but I’m excited already. So far he’s exactly the Spider-Man I want to see and it’s great to finally witness him fight both alongside and against these characters. 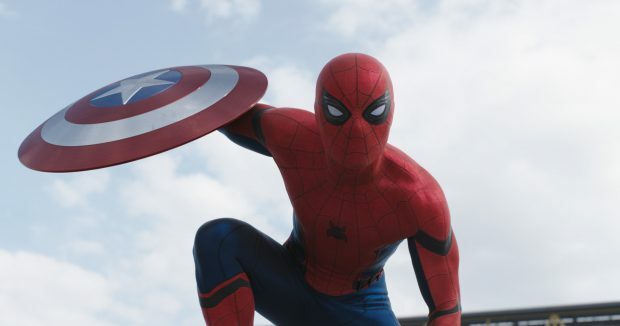 We finally have a Spider-Man that is where he needs to be and I couldn’t be happier about it. The action sequences in this movie are incredible with the highlight being the hero on hero brawl around the midpoint of the movie. It’s completely insane seeing how it plays out and there are lots of exciting moments as each character plays to their strengths. Punches, kicks, weaponry and banter is flying as former allies do everything they can to beat each other with the constant reminder that they are all fighting for something they believe in. It’s easy to invest in because the characters are all well established and fleshed out with clear motivations. It’s quite the spectacle and I enjoyed it immensely. In many ways the action sequences allow the film to be a celebration of its own existence. Marvel have spent years building this self contained universe and this is the film where it is massively divided to the point that the characters come to blows. We get to have a film like this because plenty of care and attention was used to get them to this point so they’ve earned the big superhero brawl and take full advantage of it. This review definitely reads like a fanboy account of seeing the film and it absolutely is. I’m fully aware that this film is within my wheelhouse as a comic book fan and I make no apologies for that. For me Marvel as a company understand what makes these characters work on the page and know how to translate that into films that are really engaging to watch. Other attempts to do this have been far less successful and if I thought this didn’t honour the source material then I would call it out on that. I haven’t even loved every film in this continuity. Iron Man 3 and the first Thor are films that I don’t really like at all and I’m not all that crazy about Iron Man 2 or Guardians of the Galaxy either. Even the first Captain America is only half a great film. I go into more detail on my thoughts on all of the films -before Avengers: Age of Ultron– when I ranked them relative to each other here. I guess what I’m saying is that I’m overwhelmingly positive about Marvel movies because, as far as I’m concerned, they really get it and consistently deliver. This film wasn’t perfect despite my glowing recommendation above. Most of these films have had issues with creating decent villains and this one is no exception. There is an attempt to throw in a villain in the form of Helmut Zemo (Daniel Brühl). Brühl’s performance is fine and the character is fairly interesting as he connects to the collateral damage that previous films have largely been ignorant of but his plan hangs on a reveal that doesn’t seem all that shocking or interesting when it comes. If he had been removed then the film wouldn’t have changed an awful lot but he does credit himself with pitting the Avengers against each other which doesn’t work for me as the actions of Cap and Iron Man seem completely informed by their own beliefs. He didn’t drag the film down significantly but overall comes across as superfluous. There is also the sense that the story isn’t finished which of course it isn’t because the whole thing is continuity driven and will carry on but from a structural point of view I felt that the end credits rolled somewhere around the halfway point and I was eager to see what would happen next. It’s not something I personally take issue with as I consider these films to be more like a TV show with incredibly long gaps between episodes but I can can see how the abrupt seeming ending would be a problem for some. In short, I loved it. The conflict between Captain America and Iron Man was excellently handled, the emotional hooks of the story made everything feel appropriately grounded and the action was spectacular on every level. We have a promising new Spider-Man with lots of crossover potential and the overall narrative shakes this universe to its core while still keeping the storytelling as strong as ever. The villain was a little weak but barely dragged the film down at all and the unfinished nature of the story will definitely bother some. It doesn’t bother me though as I will be there for every instalment. It’s an excellent film and definitely worth a look even if you’re the most casual fan of these movies.